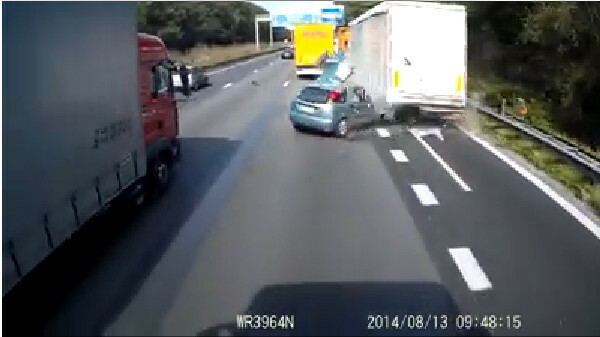 This horrible Accident occurred on E40 in Belgium on 10.13.2014. Unbelievable, but the 25 Year Old Driver Jasmien Claeys survived the Crash. She broke her top two vertebrae and shattered her hand, but Officials say that she will recover. Unfortunately I see Drivers like this all the time. They cross 3 Lines in a row just to catch the Exit, or they pass slower Cars when they are on the Exit Lane already. Don’t drive like that, otherwise it could be your last drive.